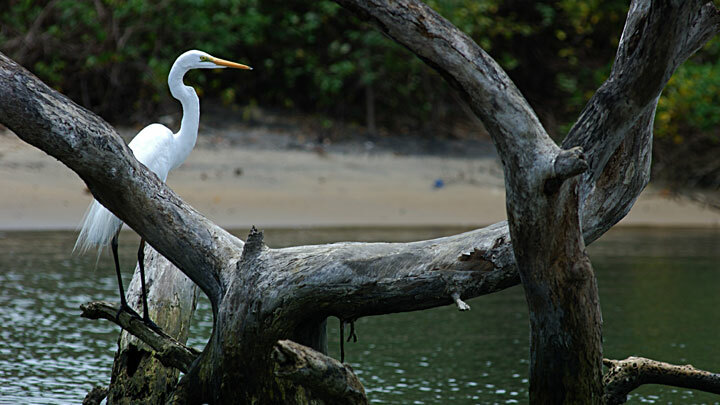 The Kadalundi Bird Sanctuary is spread over a cluster of islands in a scenic area surrounded by hillocks where the Kadalundi River flows into the Arabian Sea. The place is locally known as Kadalundi Nagaram. This virgin land is the abode more than a hundred species of native birds and over 60 species of migratory birds, like seagulls, terns, sandpipers, sandplovers, red and greenshanks, turnstones, that flock here in large numbers from November to April.